Google sheet is an online spreadsheet tool a part of Google' offering. It can be utilized like a normal spreadsheet for calculating expenses, tracking data and much more. Linked with SmartTask, Google Sheet gives the team an immediate overview on where different projects stand and which projects needs the team's focus. In SmartTask, navigate to the Analytics tab in any project or user view. Click Generate Report in the top right corner of the screen. 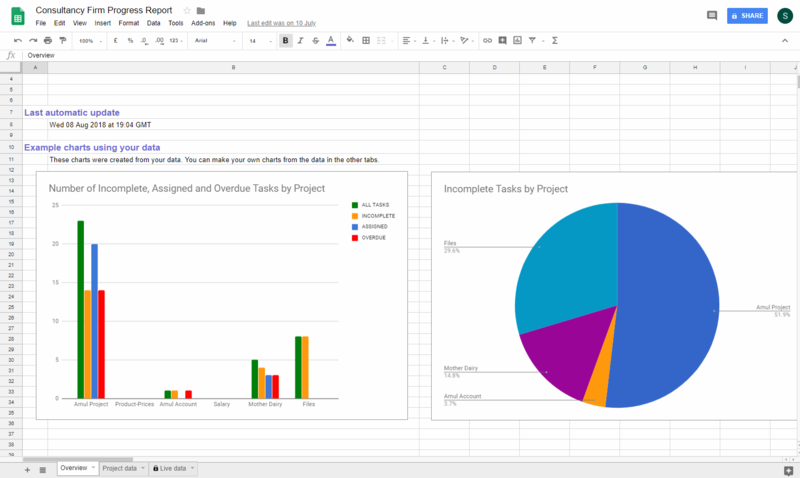 Allow SmartTask permission to view and manage your spreadsheets in Google Drive.